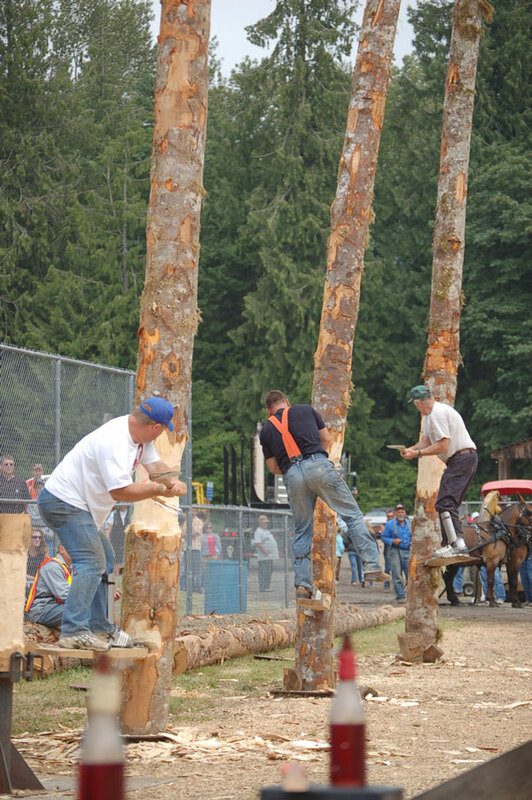 On each side of the arena you’ll notice four alder poles or logs sticking up in the air. Each of these poles will have a red mark on them. Ahead of each pole will be a cone, this is the target. The pole must be cut off above the red line…the falling pole must hit the cone. If it misses, a 20 second penalty is levied against the contestant. Fastest time wins…You’ll enjoy this event.